Hot him the intensity of the sun was still being felt cool in the peak of the Kelud Mountain. The mountain that was in the Regency Kediri this East Java really offered beauty of the amazing nature panorama. 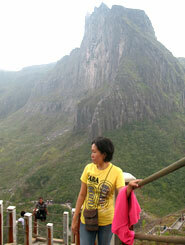 The Kelud mountain according to his legend not came from the pile of the land rose naturally. Like the mountain tangkuban the boat in West Java, mountain Kelud was formed from a betrayal of the love of a daughter named Dewi Kilisuci of two kings of supernatural power mahesa Suro and the Suro Ox. The Kelud tourist attraction very appropriate for them who had the spirit of the adventure (adventure). Among panjat tebing, cross-country, tattered ground. the mountain Kelud Region was located approximately 35 Km from the Kediri city or 120 Km from the capital of the Province East Java Surabaya. 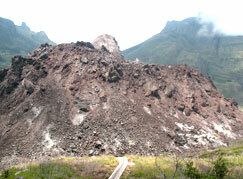 Including the active volcano with the height 1.730 metre above sea level (mdpl). The natural beautiful mountainous panorama and cool air made tourists liked for a prolonged period in this region. Welcome in the mountain kelud. Last week could take part in the tour to Bali. The tour visited the garden temple Rock that was Bale kambang the legacy of King Mengwi, afterwards at once headed towards Bedugul to see the Ulun Danu Temple. the Lunch to the Restaurant sun, in the trip came home visited the Kedaton Foundation to see the domesticated holy monkey. Many memories in the Kedaton Foundation, because of plenty of monkeys that followed the tourists. the last tour Visit headed towards the Lot Land to see the floating temple. The cost to take part in this tour only 2 juta rupiah, was thought by me was good enough and cheap.